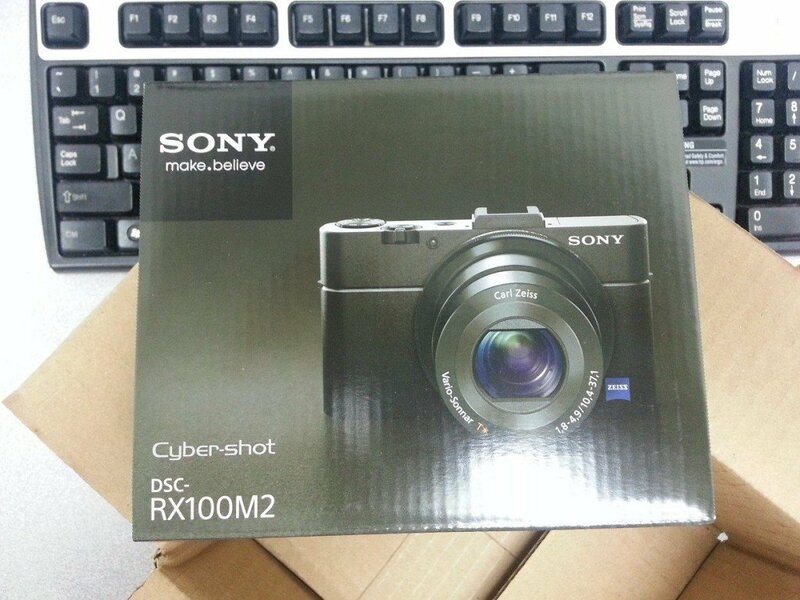 If you are following me on Facebook, you already know that I received the Sony Cyber-Shot DSC-RX100 M2 this week. There are plenty of articles listing the specs of the new camera, so instead I wanted to take it for a test drive this weekend. If you have used the first generation RX-100, you will find this new camera very familiar … but enhanced. The new RX100 M2 is virtually the same size as the RX100. The new backlit CMOS sensor makes the camera even better in low-light and high-ISO situations. The hot-shoe and the tilt screen will also come in handy. The built-in WIFI will allow you to directly connect to an Android or iOS smartphone to transfer files (both ways) through Sony’s Play Memories App. Uploading great photos to Facebook and Twitter just got easier. By the way, the Sony App can also remotely control the camera through its WIFI NFR connection. But, the biggest plus is that even more controls can be accessed by the magic Control Ring. It is brilliant and completely customizable. Just hit the FN Function button, and I have quick access to Exposure Compensation, ISO, White Balance, Raw/JPEG, Metering, Focus Points. Each feature can be adjusted by turning the ring on the front of the lens. Sony even allows you to manually focus the camera through the Control Ring just like an DSLR! I would have loved a thread on the front of the camera for filters and a more flexible tilt screen with touch control, but it’s a great camera. At the Guggenheim for the James Turrell Exhibit. In 1980, I went on my first field trip to a museum. The only thing I remember was an exhibit on the top floor of the Whitney. As soon as the elevator doors opened, I saw a big gray rectangle on a white wall with nothing else. As I walked closer to it, I realized that it was not a flat rectangle but the entrance to a gray void on the opposite side of the wall. It was a perfect illusion. I never knew who the artist was, but I always remembered it. 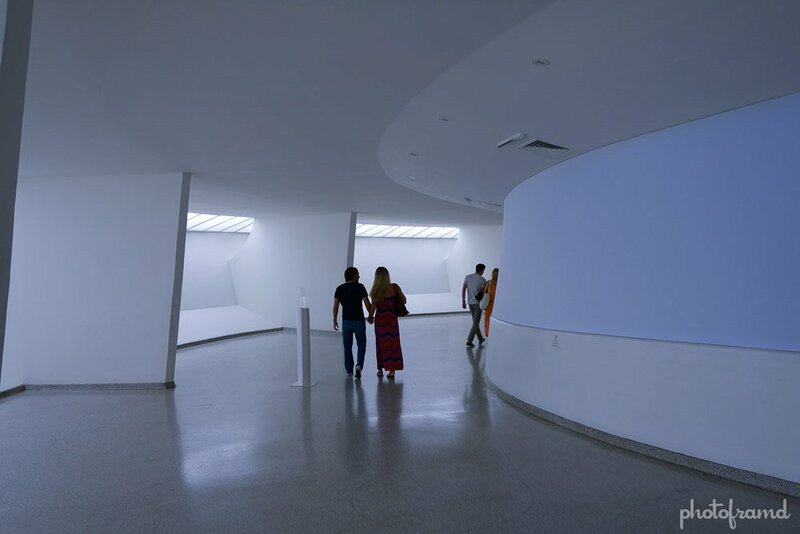 This week, I read about the new exhibit at Guggenheim of James Turrell. He was the artist of the gray void! 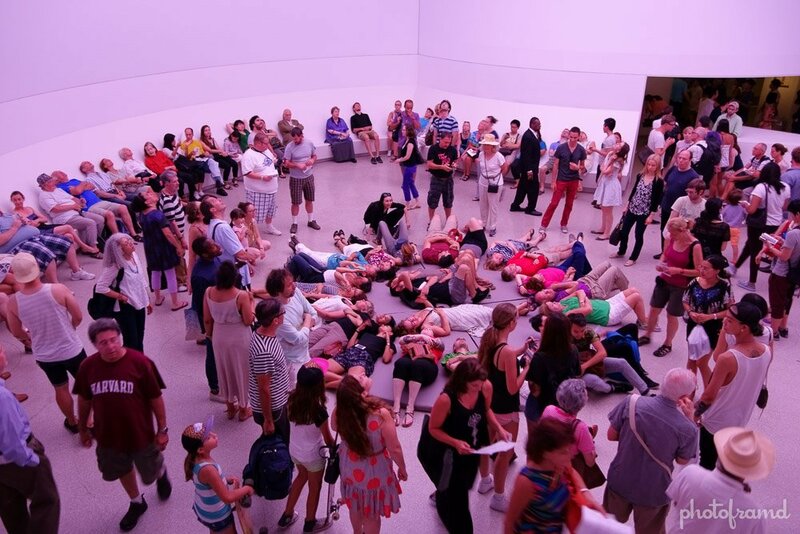 There also was a big lawsuit by some ditz who claimed she was disoriented by the Whitney exhibit and fell to the floor. She sued the museum who sued the artist. 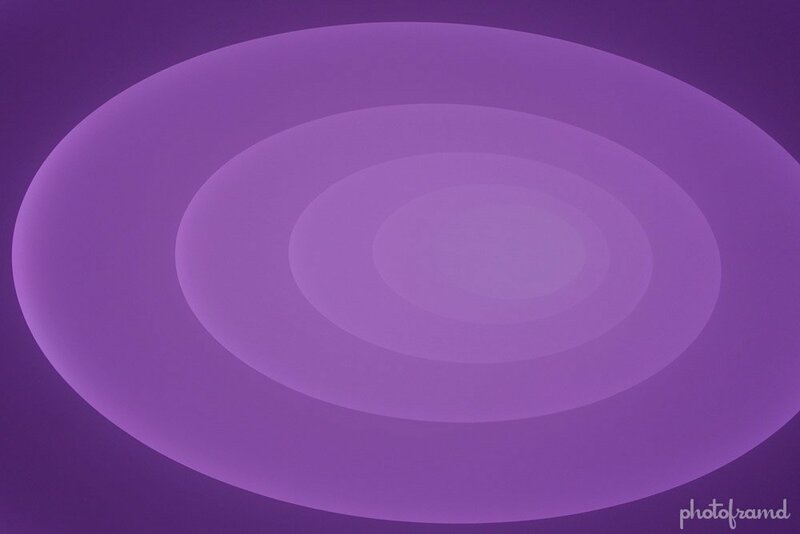 As a result, James Turrell never exhibited in NYC since … until now. The above photo is actually the view up the center of the museum which is usually the skylight. It is called “Aten Reign” and is a perfect illusion. It even changes color. The ground level has a large viewing area which includes a round mat to observe the changes. If you stare long enough, you can detect a slight moire pattern caused by possible netting used to control the distribution of light. 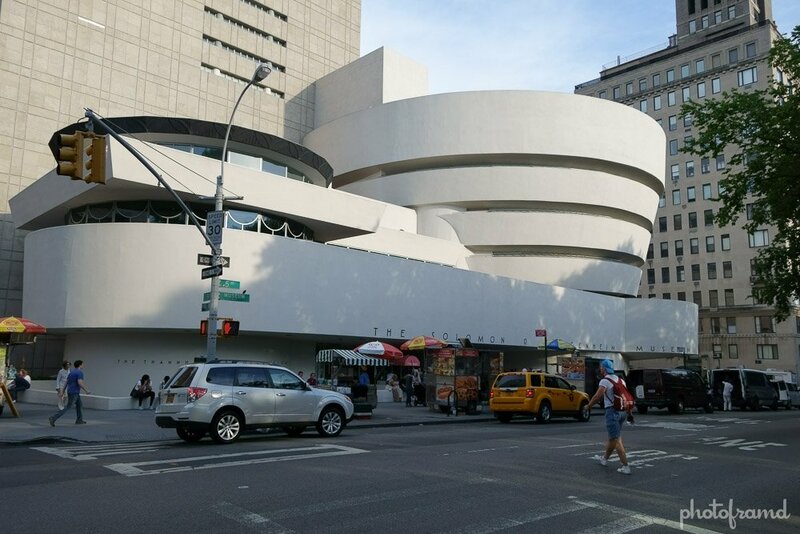 The Guggenheim’s spiral rotunda is covered as a means to the illusion. 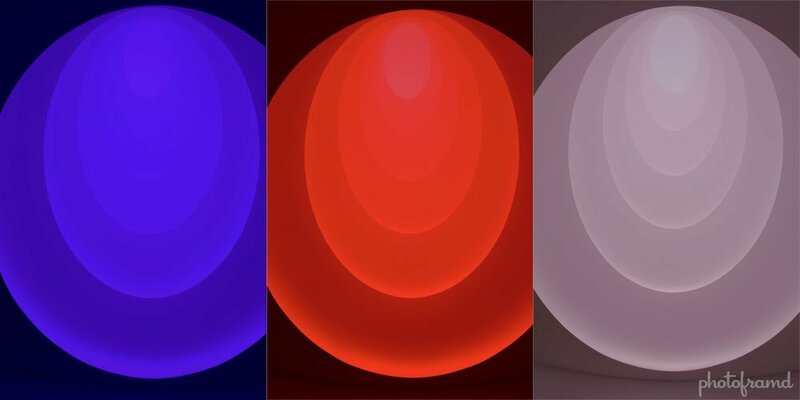 There are a total of 5 James Turrell installations at the Guggenheim, but the “Aten Reign” is the best. On the top floor, there is an update on the gray void called “Iltar” however, the lawyers got in the way. It is housed in a controlled environment — dimly lit room with a long wait and you cannot get very close. It might as well be a gray rectangle painted on the wall because you cannot appreciate the actual work without approaching it.